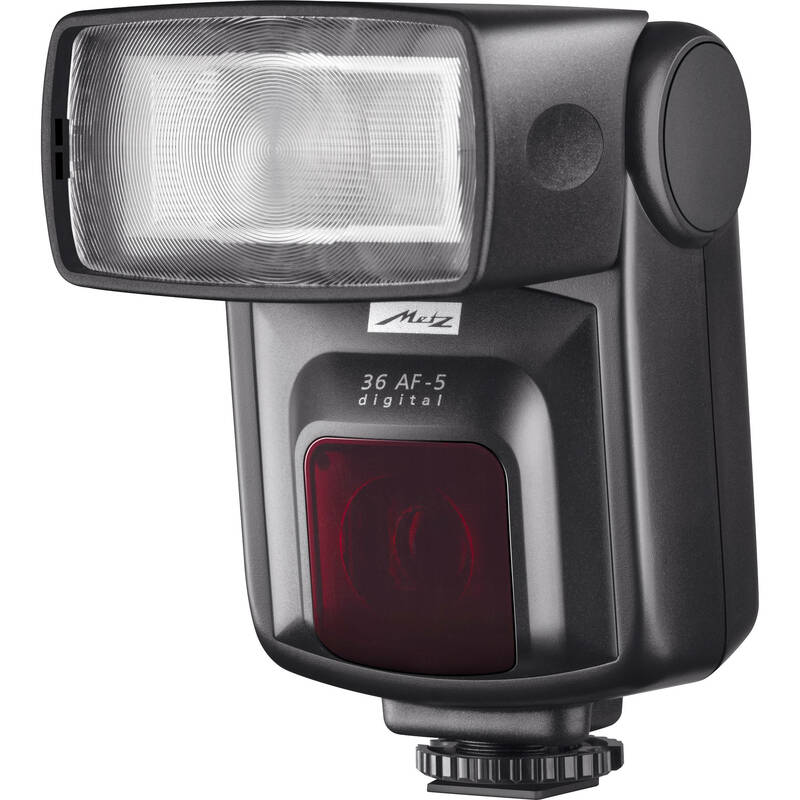 The Metz mecablitz 36 AF-5 digital Flash is an entry-level Canon E-TTL / E-TTL II compatible flash with a durable design and sophisticated functionality. This flash was designed for ease of use so that even beginner photographers will find it easy to attach and operate. Bounce flash is easily accomplished by tilting the flash head upwards to a maximum of 90 degrees. This flash also features a zoom reflector which can be adjusted manually from a focal length of 28 to 85mm to achieve an optimum illumination angle. For future compatibility, this flash's firmware can be updated via Metz Service. Box Dimensions (LxWxH) 6.5 x 3.3 x 2.6"
mecablitz 36 AF-5 digital Flash for Canon Cameras is rated 4.0 out of 5 by 2. Rated 3 out of 5 by Anonymous from It work easy , brigh is good The only not to good its the head , look fragil and it move no to smoot . For the price is ok for any body looking just for a flash , but recomend take care as a not to strong body construction. Rated 5 out of 5 by Anonymous from Metz is top notch Flash is sturdy and of high quality. Worked with my camera as good as a manufacturer unit. TTL uncompromised. Great value for the price. Can I use this flash as a wireless slave unit with my Canon T3i?Thank you. Will it work wireless off camera together with a wireless ETTL flash trigger and still have the ETTL automatic control through the camera?Thank you. No. This flash has no wireless receiver capability.